"I've always been 'good' about going to the dentist since being a post-war child and having loads of those horrible mercury fillings inserted in practically every tooth in my jaw. Over the years there have been a catalogue of dental disasters which, being a 'good' patient, I just took for granted as inevitable. From the moment I stepped through that Courtyard door I have been involved as a partner in decisions on my own dental treatment. I've now got lovely veneers, implants and straightened teeth and those ugly grey fillings have gone. I love my teeth - best thing I ever spent money on. Thank you to everyone at the Courtyard - looking forward to my next check-up!" "Wow! Marcos and Sarah and the team have been amazing. I attended the practice following recommendation from a work colleague. I lost my 2 front teeth following a wood chopping accident and have been wearing a plastic denture for the last 5 years. I had plans to move to South Africa to join my wife and family and wanted implant treatment carrying out before I left. Marcos and his team delivered excellent results under pressure of my impending departure! All expectations exceeded, professional friendly service during every visit!" " Having been a client for many years i have always been happy with my treatment and i find the staff extremely friendly!" "Every Member of staff gives you confidence and makes you feel welcome. The dentist always gives you confidence that he knows what he is doing and is best for you. The Reception always welcomes you with a smile and always say goodbye on the way out! The Courtyard is always one step better than elsewhere!!" " Great Cusromer service and support - always very supporting in providing excellent patient care. Always a joy to come back!" " After years of being too frightened of going to the dentist, I have found a dentist who treats you like one of their family - from Receptionist to dentist. Can not reccommend enough, in fact we travel from Lancashire every 3 months which is testomony enough!" " My experience with the Courtyard has been excellent. Throughout the process of having a dental implant it was explained to me in great depth, the proceedure, outcome and aftercare. I always feel comfortable at the Courtyard and would reccommend their services!" " The service at the Courtyard is always exlempary. The staff are friendly and accomadating and there is always a warm and friendly atmosphere on every visit. I have always been given excellent advice at the most economical rates to suit my requirements. I would highly reccommend using the services of the Courtyard." "Uncertain of the treatment offered by my previous dentist, I came to the Courtyard because of a recommendation. Caring yet professional staff, the practice actually makes appointments a pleasure. From the first smile of greeting to the cheerful "see you later." "I have always recieved excellent treatment, care and support from all the staff here at the Courtyard. I would highly recommend this dental practice for anyone considering a routine dental check through to cosmetic dental procedures." They know what they are doing and this is a dentist certainly worth visiting"! "The Courtyard team are always friendly and helpful, i used to hate going to the dentist but at the courtyard it is a relaxed environment that makes you feel at ease and i am extremely happy with the service here!" "I am absolutely terrified of the dentist! I am usually in tears before i even get into the chair. The staff at the Courtyard have being patient and encouraging. I am now comfortable attending all of my appointments due to their support and their friendliness of the team!" "Excellent service from everybody at the Courtyard, I absolutely love my new teeth!" 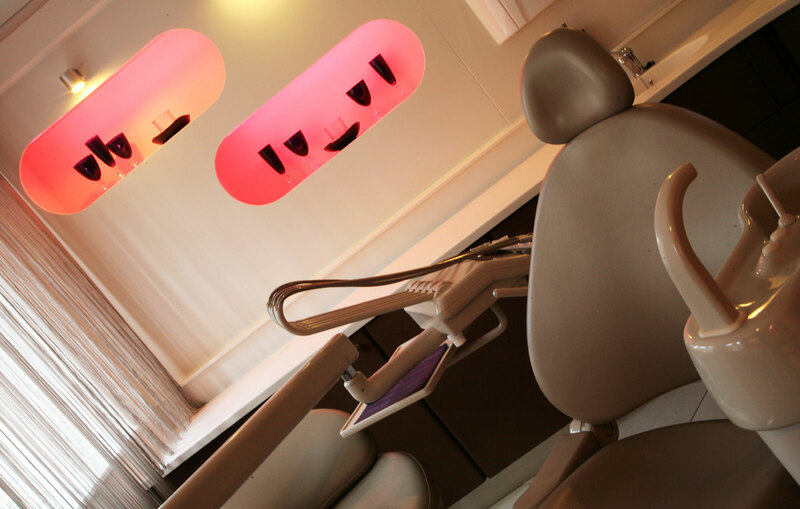 "A Great place which really care and look after my teeth! All staff are highly trained!" " Always a fantastic + friendly welcome here at the practice. Helpful, knowledgeable and professional dental team. By FAR the most comfortable i've ever felt at a dentist!! The whole team make you feel relaxed and at ease!" " Friendly, homely, Caring and understanding team! First class support team, and knowledge with experience to a high level! Customer service from reception is professional and caring. As i have had Catastrophic experiences it is so comforting to know i am in good caring hands, that never rushes and allows time to enable me to have my treatment in a relaxed and understanding way! " I have been coming to the Courtyard for over 7 years, from an exceptional invisalign plan, to becoming a practice member, the service has always been incredible with thoughtful knowledge from the dentist and hygienist, and pleasant reception staff! " " Changing dentist at any age can be a challenge. Doing it at 63 could be traumatic. The Courtyard made everything friendly and easy. Speedy assessment, convenient appointments, excellent treatment. Thank you! " " I am always well looked after - everybody is so helpfull. Marcos is brilliant, he always wants the best for you and looks after you all the way through your treatment. Thank you Marcos for my lovely smile! I have been coming here for years. I would definitely recommend Marcos and the team at The Courtyard. " "Always very professional and accomodating. I have had to rearrange appointments a lot due to work circumstances. The Front of House staff are always very polite and helpful." "Firstly I would like to thank the reception and treatment coordinator team for making arragements for my appointments! They were really helpful. I received the best possible treatment from a well experienced and friendly clinical team. If you are looking for the best treatment go to The Courtyard! Thank you all"
"I have had the same dentist for twenty years but he retired, how dare he. I moved to a new dentist and the shock I got from the experience was too much to bear so I moved my whole family to our local dentist, what a mistake. Paying privately I was treated very poorly, sat to wait long after appointment times, cancelled as the dentist's had to drop her child off at school, reception staff interested more in what was on TV las night and discussing staff problems whilst I am stood waiting to talk to someone and finally a filling that fell apart in a week. What a joy to find Marcos and his team, fantastic reception, lounge to sit and something to drink. Atention to my requirements was second to none, all the staff were terrific and the dentistry was a blessing to have. Brought up with a fear of dentist I can assure you that a visit to Marcos and The Courtyard is a treat and I travel 20 miles to get there. I would recommend you to get to The Courtyard for your next visit to the Dentist for hospitality and treatment that I did not realise could possible exist." "I wish I had searched for a new dentist years ago. Having seen first hand the exellence that The Courtyard prides themselves with, I made the right choice having my treatment with them. I will never again get that nervous feeling before coming to the dentist." "The Courtyard are very friendly, helpful and professional team. The dental hygienist Kirsty is outstanding, resulting in check ups with Marcos also outstanding dentist. Highly recommend this dental practice." "Marcos and his team have given me a lovely, straight and healthy teeth with Invisalign treatment and regular check ups. Nothing is too much trouble. I would highly recommend them to both new patients and my friends and family who attend the practice." "I am always happy with every part of every visit, that is why I travel!" "I always feel very confident that I am being well looked after by a professional and caring team. The Courtyard is a very comfortable and modern place. The launge makes you feel relaxed. The customer service is brilliant as well as a sparkly smile." "I am always extremely impressed with the service provided by The Courtyard. Marcos and the lovely team are great." "The care I recieved at The Courtyard has always been very professional, detailed and personal. All the staff are very friendly and make you feel at ease. Marcos is very knowledgeable - he diagnosed and rectified my dental problem when other dentists in the past have told me it was due to another cause. Convinient location and great appointment reminder system." "As a new patient, I have managed a lot of treatment only because of a very supportive team of The Courtyard who have been great! The dentistry is outstanding and has performed miracles." "Fantastic service at The Courtyard and a great result of my treatment. I could not be happier! Thank you to all staff." "I felt very comfortable and at ease with each dentist and hygiene team. I have never wanted smile so much in my life!" "I would like to highly recommend Marcos and the team of The Courtyard. My results have been better than I could ever imagined! The service is outstanding." "I really enjoy every visit at The Courtyard as the staff are all really friendly, warm and welcoming - not in a forced way either! it is nice to be pampered by some lovely, young ladies :)"
"WOW! Marcos & Sarah and the team are amazing. All expectations exceeded. I recieve professional and friendly service during every visit." "I always find the staff at The Courtyard knowledgeable, friendly and helpfull! Thank you to the whole team." "I am happy that I have chosen to join this dental practice. The service is fantastic from all staff!" "You made my day, week, year and life! Brilliant customer service." "Fabulous, friendly and enjoyable experience! I am no longer scared at the dentist but look forward to coming :) Thank you so much." "For the very first time in a long time not to have any type of pain in my mouth or face is a fantastic feeling :)"
"Before I came to The Courtyard I didn't like smiling. Now I have a new tooth in place of my baby tooth, I can't stop smiling!" " I am always pleased with the service I recieve at The Courtyard Dental Practice. The staff are always helpful, professional and friendly." "An extremely warm, friendly team that make me feel at ease. I am pleased and happy the service and my teeth. I am so happy that i have recommended everyone I know to the courtyard!" "I am currently 9 weeks into my Invisalign journey and I can already see a big improvement in my teeth! Right from the start, the Courtyard have been so professional and every member of staff is so friendly and helpful. I've had to bring my toddler in a few times and the staff have been so amazing with him. I can't fault the treatment i am recieving or the service!
" I have loved and appreciated the care, support and treatment i have recieved at the Courtyard. The Invisalign treatment has worked exceptionally well, resulting in the smile i have always wanted. Thank you!" "I felt there were times when the Courtyard really went the extra mile during my treatment. The customer service was always 100%! I feel so much more confident - and i no longer need to hide my smile. This has made such a positive impact on my self-esteem!" " I could not have asked for a better quality of service or better care from the Courtyard. My teeth are better than i could have ever expected for which i am incredibly grateful for. I have not had a single negative thing to say, i am 100% happy! I choose the Courtyard! " " I am very happy with result and no longer self-conscious about smiling! " " The team very attentive throughout - they could not to enough for me! I was provided with all information I needed and felt in good hands. Reception team are so lovely and welcoming. After a bad experience elsewhere, this was the exact place I was looking for. " "I cannot recommend this product enough. I used to be very nervous at the thought of any dental treatment however, the service and customer care receieved at The Courtyard has put me at ease for any future treatment I may need. This non-invasive procedure has transformed the way I present myself in any social situation. You will not regret it!" "Excellent customer service. The whole team went above and beyond to help. I would recommend this practice to anyone. Since my treatment one of my friends having seen my results also started Invisalign with The Courtyard. The results are fantastic, I love my new teeth!" "I had the Invisalign treatment and I am very happy with the results. It has transformed my smile, I now feel confident to smile and have my photo taken. The staff are very helpful and friendly. Thank you Courtyard!" I had the Invisalign treatment. I was very happy with the results. It has transformed my smile. I now feel confident to smile and have my photo taken. The staff are very helpful and friendly. Thanks Courtyard!
" Marcos and his team were professional from start to finish. From Agata at reception right to Marcos. I am extremely pleased with final results. I would highly recommend the practice! " " I am very happy with The Courtyard! All staff are knowledgeable, professional and is always a friendly welcoming atmosphere. " " Support from staff has been brilliant. I am very happy with the end result. I would highly recommend The Courtyard for any type of dental treatment! " "The customer service at The Courtyard has been fantastic! Marcos and the team worked with me, fixing all my little niggles and making my smile perfect. The confidence I have since using Invisalign is amazing. I have a perfect smile and people are always commenting on it!" "As a nervous patient I was immediately put at ease by the recpetion and clinical staff at The Courtyard. I really liked the step by step proccess of the treatment, which helped break the treatment down into more manageable steps that I could cope with. The satff were very reassuring and patient when I felt nervous about any particular visit - but actually there was no need to be worried about anything and nothing was painful. I am absolutely thrilled with me new teeth and wish I have had this done years ago!" "Overall a great experience at The Courtyard with my Invisalign treatment. The whole process was straight forward and flew by! I am really happy with the final outcome and wish I would done it sooner! All staff have been extremely helpful - Thank you :)"
"I would recommend Invisalign to anybody who is not happy with their samile. I had always hated my teeth and was very conscious when smiling, I tried to cover or hide my teeth whenever possible. At my initial consultation Marcos discussed and fully explained what could be done to match my "perfect smile". I was amazed when he showed me a video of the expected results then even more when he said it could be done within a year! I expected it to take much longer. Since having Invisalign treatment at The Courtyard I can not stop smiling. I was so impressed I cried with joy when Marcos showed me the results. Everytime I catch a glimpse of myself in a mirror I smile - it has given me so much confidence and self esteem. I can not thank the staff at The Courtyard enough for everything they have done. Not only have they given me a smile to be proud of but completely changed my attitude and view of the dentist. All the staff are always welcomig, polite and friendly." "I am so happy with my final Invisalign results - the difference can be very easily seen! Thank you to the team at The Courtyard for always being so pleasant and helpful, your effort did not go unnoticed." "I feel the service is very professional and I am very happy with my Invisalign treatment I have had. All the staff were very helpfull!" "The service I recieved throughout my treatment was professional and friendly. The outcome has made much difference to my life in term of confidence - thank you!" "I am extremly pleased with all of the treatment I have recieved. Marcos and the team have done a great job of explaining all of my options and are all very friendly and professional. I am in love with final results and would recommend you to everyone!" "The care and treatment I have recieved since my first appointment have been fantastic, friendly and professional! All the staff is warm and welcoming. The treatment has worked great and I am so pleased with my teeth. If I was not moving to Australia I would most definietely join the practice as a member for regular dental care." 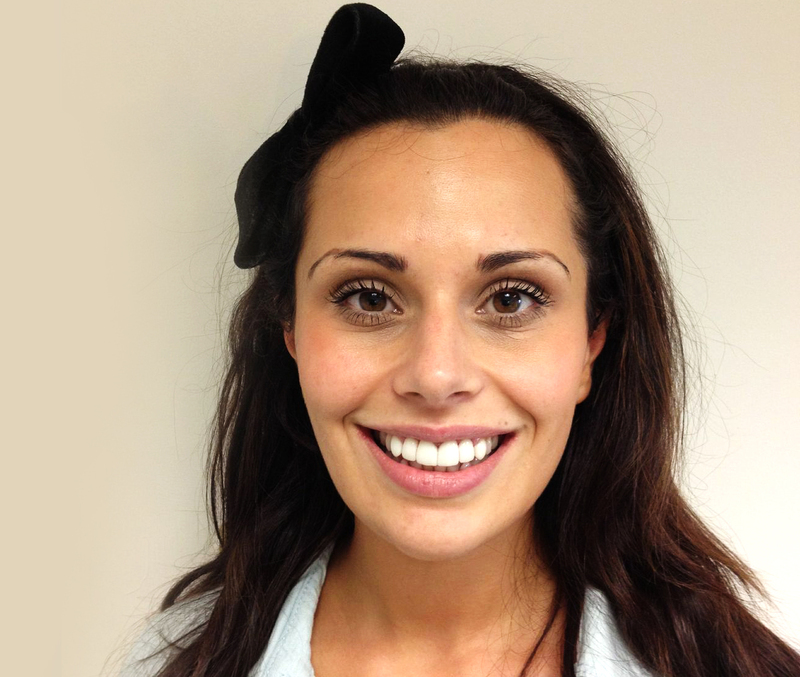 "Kirsty has been brilliant throught the whole Invisalign treatment. She has made me feel at ease!" "I thought that having my teeth straightened was out of the question at 60+, until I saw Marcos. A brilliant result in such a short length of time. Wonderful service." "Throughout my dental treatment, Marcos, Kirsty and The Courtyard Team have been highly professional, very friendly and a pleasure to deal with. I love my new teeth!" " I had thought about having Invisalign for some time before deciding to go for it. I am so pleased I made the right decision. The results are fantastic and I feel much more confident when smiling." " After having Invisalign I cannot say how delighted I am with the results. A lifetime of crooked teeth have now been altered to beyond my wildest dreams. The staff were wonderful and so helpful." "Extrememly satisfied with the service at The Courtyard, would highly recommend." "I am delighted with the treatment I have recieved at The Courtyard. The level of care from Marcos and the team is exceptional. I am thrilled with the results and can not believe the smile I see in the mirror is mine!" "I came to The Courtyard for Invisalign consultation and I was greeted with warm smiles from lovely people. I am now walking away with a stunning smile after being looked after perfectly." "I am very happy with the treatment and the staff are excellent! I would highly recommend The Courtyard Dental Practice to others." "I have been very happy with the great treatment recieved from the beggining to the very end. The staff made me feel comfortable throughout the process." "Excellent service from very friendly staff. I am delighted with the end result and I wish I would have done it years ago!" "Fantastic treatment and 100% happy with the outcome. Worth every penny!" "Perfect service from beggining to the end. All the staff are extremely helpful, kind and polite. I have got my Hollywood smile so thank you! I would 100% recommend The Courtyard Dental Practice to anyone looking for Invisalign treatment." " I am so impressed with Invisalign treatment I received at the Courtyard. The service I received from Marcos, Kirsty and everyone else was exceptional, they are all so friendly and very professional. My results are superb and I finally have the smile I always wanted! Thank you so much! " "This was a brilliant experience! My teeth are now straight and I'm so confident "
"I am so pleased to have taken the decision to have my Invisalign treatment at The Courtyard. Thanks to Kirsty and the team for their great work. Highly recommended!" "I have received an extremely friendly high class service. My teeth look fantastic and I have had a lot of compliments. Thank you!" "Welcoming atmosphere at The Courtyard. The staff are friednly and very porfessional. Results have exceded my expectatins and I'm very happy with my teeth." "Extremely pleased with the results! I can now smile with confidence. Thanks to Dr Marcos White and his wonderful team. It has been a great experience from start to end." Molly Goodman, 25, Newton, Derbyshire. "I was very impressed right through from the initial consultation to the procedure. I am very happy with my results." "The best thing I have ever done. Everyone that knows me, know I dont do photograghs. Now I am going to be photobombing everybody with these fabulous teeth. I will need to renew my wedding vows so I can have pictures with me smiling. Happy times thank you and your team." "I am very pleased with my Invisalign Treatment. The whole experience has been a pleasure. All the staff at The Courtyard have been amazing." "I am really happy with the result of my Invisalign treatment and would recommend The Courtyard to anyone looking for great customer service." "Amazing staff and treatment carried out are at the highest of quality. Knowledge and dedication are fantastic." "Fantastic treatment with great results! I have recommended The Courtyard to my friends and will continue to sing your praises!" "After having Invisalign and some veneers done, I can now smile with much more confidence. The treatment I recieved far exceeded my expectations and I found all the team to be kind, friendly, dedicated, non-judgemental and encouraging. Thank you all so much!!!" "The attention to detail and professional was fantastic. A friendly and knowledgeable reception team instantly put you at ease before the work started! The Courtyard team are outstanding and I wouldn't hesitate to recommend the practice. The whole experience was superb!!" "I have never experienced such quality care. The whole team are so professional and caring and i am so pleased I made my visit. My results are outstanding and I would recommend them to everyone as I know they would definately be as pleased as I am. "I am extremely happy with the treatment carried out by the whole team"
"Absolutely delighted with my smile!! Many thanks to Marcos and his very professional, reassuring team. Everyone has been absolutely fantastic! The whole process has been faultless, a special thanks to bernard from the lab as he is a genuis!!! "100% happy with my treatment throughout. "The Courtyard has made me feel comfortable from my very first appointment! They gave me a natural smile that i absolutely love!" "I couldn't ask for a better service! Marcos and the team are so friendly and caring, and as for my teeth they are fantastic!!" "I had a wonderful experience, the customer service team were so lovely and helpful. My Veneers look incredible, I can't stop smiling! The Courtyard are so friendly and reassuring, I'm absolutely delighted I recieved the treatment here!" " The team at the Courtyard are very caring and helpful. I am delighted with my new smile! All the staff on reception are always very welcoming and made me feel very comfortable and at ease throughout my treatment! I would like to thank all the staff for this! " " I am very happy with my new smile. I have been very well looked after from start to finish! " " Marcos and his team have been amazing! i am absolutely in love with my veneers as this has completely changed my smile. Thank you so much to everyone at the courtyard! " " The whole experience has been very professional, and i am absolutely delighted with my results! " " I had a lovely time at The Courtyard. I felt very comfortable and happy. I love my new teeth and I can't wait to show them off. " " A really friendly and professional practice. I was well taken care of! I love my new veneers. " " Overall treatment was great! All the team are friendly and helpful - made me feel at ease. " " All staff are very friendly, helpful and professional. Customer service from reception team is second to none and my teeth look excellent! " " Excellent service from all staff - consideration of fear of dentist and made to feel comfortable! Very pleased with the final smile after completion of treatment. I would recommend The Courtyard to any friends and family. " " I love my new smile, the attention to detail to get them just right was exceptional. I was made to feel relaxed and at ease throughout. Lovely and friendly atmosphare and staff! Thank you :) "
" After having a bad experience at my NHS dentist, where I had been a patient for over 30 years, my friend suggested I they The Courtyard. From my initial consultation where Marcos and Sarah discussed my need, I could tell I was going to be happy. 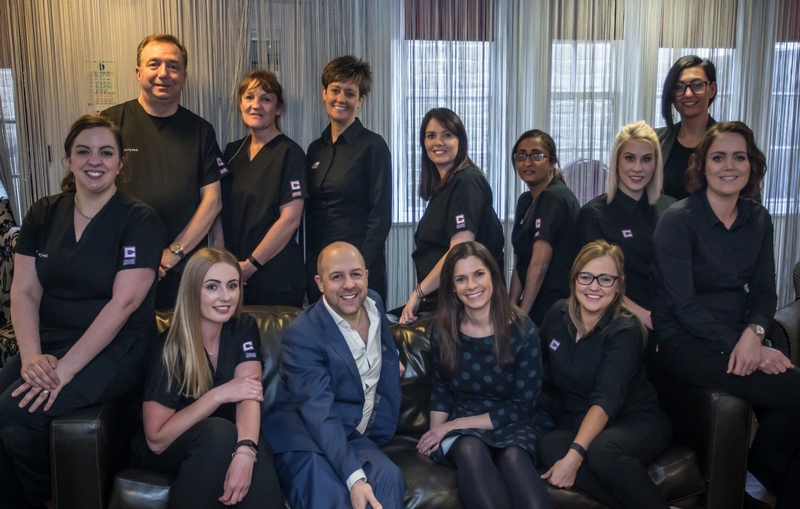 Marcos and his team are pofessional and friendly people prepared to go the extra mile to give you the perfect smile! I would highly recommend The Courtyard to my family and friends. " " Great staff! Very efficient and kind. I love my teeth - exactly what I asked for! A big thank you to everyone. " " I was very pleased with all staff, they made me feel at ease - they were all welcoming and friendly! I am so happy with my new smile. I can't thank you enough! " " The team at The Courtyard have helped me feel relaxed throughout the entire process. I am so pleased with the final result! " " I am very pleased with my veneer treatment! I couldn't be more happier with the result and the service at The Courtyard. " "All the staff were friendly and helpful at all times. The initial assessment of remedial work required was quick and efficient. The dentistry was carried out efficiently and on a well planned schedule. The veneers and crowns match in colour, look good on the outside and feel good on the inside." "After having numerous bad experiences with other dentists I can finally say that I have found a practice that offer and provide exceptional treatments. I am in love with my smile and would recommend The Courtyard to others. Thank you for my amazing smile." Due to previous dental experiences I was very aprehensive about receiving 'intensive' treatment but from the very start of my dental journey at The Courtyard. I was put at ease - all the staff are very calm and pleasant, their knowledge and professionalism is second to none. 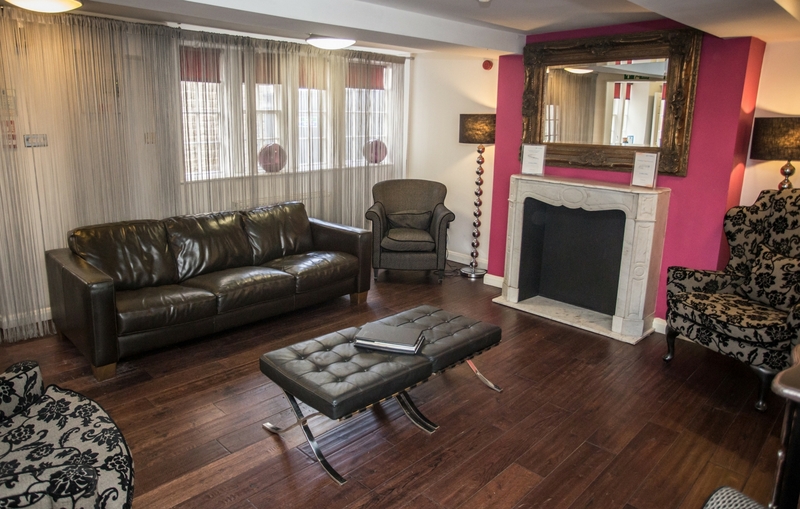 The treatment was worth the money, thank you to The Courtyard I would recommend one and all!" "The support team made me feel so welcomed and at ease about the whole treatment process, all so warm and welcoming. I am in love with my smile and now feel very confident within myself. The Courtyard made the whole experience enjoyable." "From the moment you arrive you are put at ease by the reception team. The professionalism continues throughout the whole process and I am absolutely thrilled with the end result of my new veneers. The biggest difference in me is my friends now tell me that I do smile! Any regrets? Yes, I should have had them years ago! Thank you!" I was very pleased with all the staff, they all made me feel completely at ease. They were all friendly and welcoming. I am so pleased with my new smile I cannot thank you enough!
" The support team and reception at The Courtyard are brilliant! I am very pleased with the treatment. I left well looked after and individual. " " The staff at The Courtyard are extremely welcoming and looked after me from the first time I walked through the door. I can now smile with confidencedue to the outstanding work carried out by Marcos and his Team! " " I usually get scared of going to the dentist, howeve, here at The Courtyard the staff make you feel very comfortable. Wonderful staff! The veneer treatment looks amazing! " " Initially when arriving I was very nervous and lacked confidence due to the state of my teeth. I am now a confident woman who can smile when having my photo taken! A big thank you to Marcos with all the team at The Courtyard - they are truly amazing people! :) "
" Amazing, absolutely love my new front tooth! The dental therapist was fantastic and really understood that my teeth are sensitive. All round fabolous staff that made you feel welcome. Very professional! " " Absolutely delighted with the treatment I received from Marcos and all the support team at the practice. From my first day I walked in for my free consultation, throughout my treatment to the very end. I felt comfortable and at ease. The finished result is fantastic! " "From start to finish The Courtyard have been factastic. Everyone I have dealt with has been brilliant. I am not a fan of having dental work done but I was made to feel at ease throughtout the whole process. The end result of my veneers is better than I even hoped! Thank you so much to Marcos and his whole tream!" "Marcos and his team were very welcoming, informative and professional from the start to finish of my treatment. I would have no hesitation in recommending The Courtyard. I love my new smile! Thank you." " I am more than happy with the treatment I have recieved from start to finish. In my opinion the result is amazing. Customer service at The Courtyard is excellent and gives a lot of confidence! " "All the staff were professional and attentive from my initial consultation to the follow up appointments. I would be happy to recommend The Courtyard to others!" "Excellent service from start to finish by all members of the team at The Courtyard! I am very pleased - the result was first class." "Deciding to go with The Courtyard was one of the best decisions I have made. From the moment I walked in the staff were friendly and reassured me about everything. My new smile has given me so much confidence and made a huge difference to my life! I cannot thank Marcos and his team enough." "Everyone at The Courtyard is FANTASTIC, they really took a good care of me! They were very reassuring and explained everything step-by-step. The work is first class. Marcos is a wizard. Loving my new smile!" "I have been waiting a long time to fix my teeth and i am very happy I choose The Courtyard - lovely reception team, very helpful. Support team have been brilliant, very friendly. The Courtyard actually care about your teeth. I am so pleased!" "I couldn't be more pleased if I tried. I am absolutely thrilled with the outcome and everyone at The Courtyard!" "Lovely staff - always friendly and helpful. Marcos and Stacey were really brilliant with me. Nothing was too much trouble, I was able to phone or email at any time and they fitted me in next day. My smile looks very natural." "The service I recieved from all members of The Courtyard has been superb! The veneers look great and Marcos has definietely given me something to smile about! Thank you all!" "I am over the moon with the way my teeth look! I never thought I was going to have a Hollywood smile but The Courtyard have helped me achieve that. Perfect dentist and people." "I can not thank the whole team at The Courtyard enough for their dedication, expertise and outstanding customer service. I am now looking forward to showing my new sparkling smile. Thank you again and again!" "I am exceptionally pleased with the results. The trial smile is such a great idea to get used to the new smile. Thank you Marcos!" "Agatha and Stacey were very friendly and always welcoming. I am very pleased with my new smile! If I had any questions or queries I knew the team were only a phone call away. Excellent one to one service and lovely lounge area! Marcos is very professional and understanding, bouns that he has very nice eyes." "A total transformation! Never felt a thing, such a difference - I feel so much more confident. Why did I wait so long? A big Thank You to the friendly and supportive team!" "The staff were very helpful. The finished work looks great." "All of the staff are very friendly and always happy to help. All of my appointments were on time and I was out on time too." 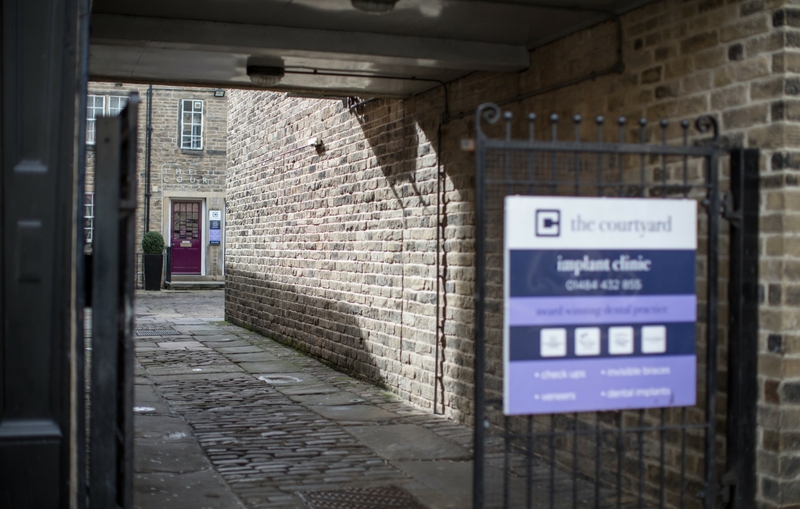 "The Courtyard Dental was recommended to me and I can now see why! Really relaxed, calm envorinment and very professional. I highly recommend!" "All the staff at The Courtyard are very friendly and gave me a lot of advice. I am very pleased with the outcome!" "All the staff at The Courtyard Dental are friendly and helpful. I am so pleased with my composite veneers. It was a great experience!" "Friendly staff make the whole "going to the dentist" experience so much more pleasurable. Great result with the new tooth!" "Excellent service and lovely people! Can not recommend enough. Thank you so much for giving me my smile." "5 star service on every level! Amazing results - I am a client of The Courtyard for life." "I am very happy with results of my treatment. Customer service at the practice is brilliant and very professional. I would definitely recommend The Courtyard!" Shirley Tovey, 55, Llanfynydd, Flintshire. "Fabulous service, everyone is very professional but really friendly. Fantastic results, I am so happy!" "I felt very relaxed from the very minute I walked into the practice. Everyone was very friendly." "Marcos has given me the smile that I have always wanted, the man is a genious!" "Fantastic treatment received from Marcos and all the team at The Courtyard. I have an amazing new smile which looks and feels perfect. Many thanks! " "Having any kind of dentistry work can be quite traumatic, but I am pleased to say Marcos and his team have done a great job every step of the way regarding my treatment. I am truly delighted with my new veneers and would recommend their high standard of care to anyone." "Thank you so much to such a friendly and fantastic team. Thanks to you I will smile (widely!) on my wedding day! Wouldn't hesitate to recommend! Thanks! " 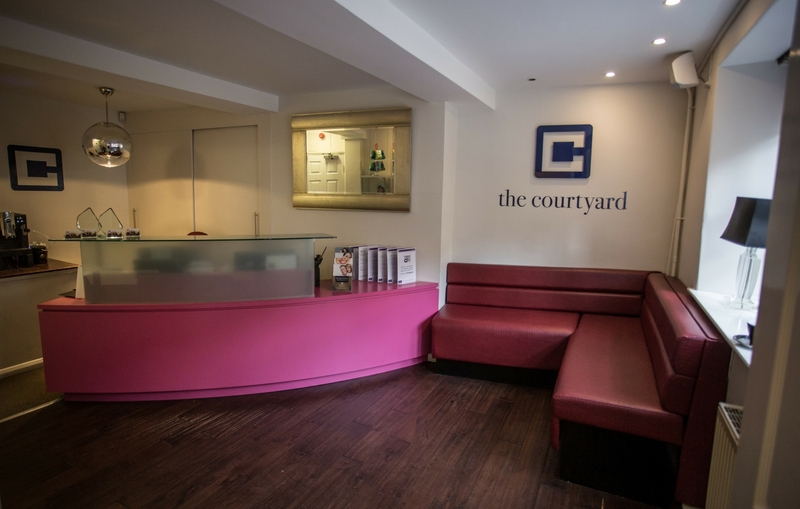 "Everyone at The Courtyard is extremelly friendly and reassuring. I am extremely happy with my veneers, the care and professionalism of the team. 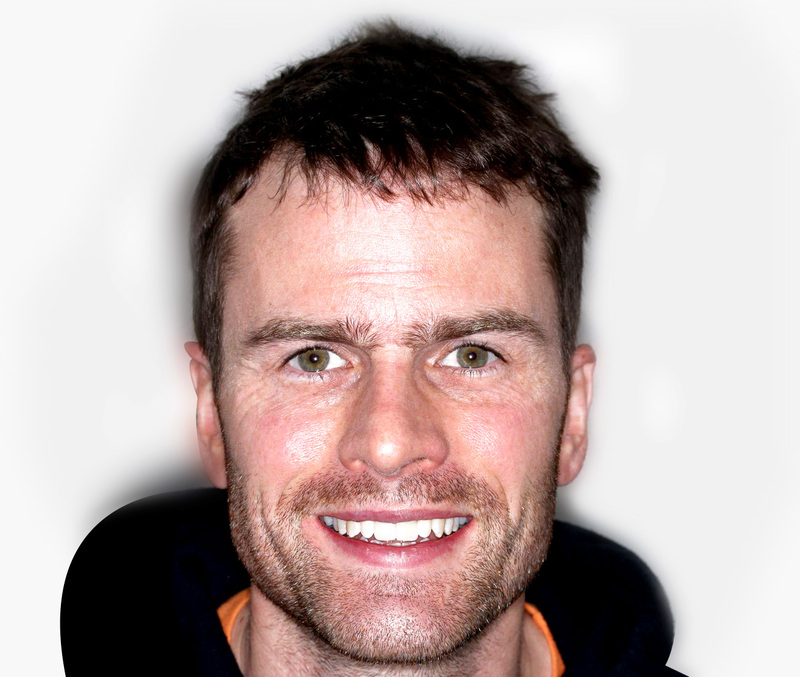 Big Smiles, James "
"Friendly, approachable dentist and staff. Marcos is reassuring and listens carefully to feedback and acts on it to ensure I was fully satisfied." "Excellent customer service and fantastic dentisrty! Very pleasant experience from start to finish. Highly recommended! A big thank you to all at The Courtyard." "An excellent experience throughtout from the first consultantion to the end result. Very professional and friendly." "Excellent treatment from start to finish. What a brilliant result. Thank You so much!" "Im very pleased with the service I recieved. All the staff are freindly and I would highly recommend The Courtyard." "Excellent treatment throughout. Only wished I had the courage to attend sooner. I am absolutely delighted with my new smile and the care I recieved from everyone at The Courtyard." "Lovely staff, always go the 'extra mile'. I am so impressed with Marcos' skills. I will definietely recommend you all! Thank you." "Excellent service from start to finish. The staff are incredibly professional and make you feel at ease. I wouldn't hesitate to recommend." "Great customer service. Staff are very friendly. Really looking forward to adjusting to my new smile and the fantastic changes." "On the day that I came to The Courtyard to discuss dental work I felt I needed I was quite nervous. I was immediately put at ease and soon felt very confident that what I was hoping for would be achieved. The whole experience was dealt with sensitively in a friendly and professional atmosphere and I can't thank Marcos and his team enough for my "new smile". "I am a relatively new patient at the dental practice having joined the practice in the last 6 months. However my treatment so far has been excellent. The staff are very friendly and polite the surroundings impressive. Going to the dentist can be an anxious experience. This practice has a very relaxing calming atmosphere puts you completely at ease. I have been concerened about my teeth especially as I get older and my gums recede. I made the decison to improve my 'smile' with some cosmetic dentistry and have had some porcelain veneers to fill some gaps in my smile. I would like to thank you for the excellent service that you have provided throughout my treatment. Marcos was really patient with me and listened to exactly what I wanted, the result is fantastic and I am so pleased. I would also like to thank Marcos dedicated Veneer Technician for the time he spent creating the shapes and colour of my new veneers. "Fantastic service and a great result, couldn't be happier with my composite veneers. Thank you to everyone at The Courtyard." As someone who is usually an out and out coward when it comes to dentists, for the first time I have found a dental practice that gives me the reassurance and support that I need. When I first visited The Courtyard, I intended to only have basic treatment but my confidence grew to the extent that I arranged to have a full dental makeover. With extensive cosmetic dentistry, black amalgam fillings replaced with white ones, a 30 year old gap filled, old crowns replaced, porcelain veneers added to my front teeth and teeth whitening, I now have a new smile! "Marcos and the staff at The Courtyard made me feel relaxed and at ease from start to finish. I am over the moon with my results and would recommend them to anyone." "Brilliant!!! Made my day, week and year, Thank you to Marcos and his team ;)"
"After an emotional start, I am over the moon with how wonderful my teeth look. Thank you Marcos and all the team"
When I came to see you, you showed me that there was a better way to keep and look after my teeth and that dentistry does not have to be uncomfortable and scary. Marcos, I owe you a debt of gratitude. Not only have you cured my fear of dentists and given me back my beautiful smile, you have done wonders for my self esteem and taken years off my appearance. I feel fantastic since having my veneers and talk about your wonderful service whenever i get the opportunity. I have no hesitation in recommending you to family, friends and indeed anyone. Even though I live in Hull I wouldn't consider going anywhere else for my check ups. "The support off the team has been brilliant, it means so much to get my smile back on my face. The whole team are brilliant and looked after me." "I have always been nervous of dental work but all of the staff put me at ease. Everything was pain free which made it a pleasant experience. Thank you so much to Marcos and his wonderful team." "Excellent treatment and I would thoroughly recommend!
" From the start the treatment has been amazing! The highest level of clinical skill and use of technology is quite incredible!! Friendly, perfect organisation, and aftercare I certainly recommend. Marcos did the implant perfectly and I had absolutely no pain, and Anna was so precise, careful and gentle in restoring my smile confidence. "After a previous bad experience, Marcos and the team have made me feel at ease throughout. The difference this has made to me cannot be described. I am finally happy with the outcome, and i want to say a big thank you to all the team at the Courtyard". "I recieved excellent care and support throughout from everyone, incliuding those behind the scenes, making me feel completely at ease. Marcos and the entire team have not only rebuilt my face and reinstated my smile - they have given me reason to smile as my self confidence and self esteem have returned too! I couldn't afford NOT to have my implants.
" Excellent support team and care. Excellent service and lovely people!" " I was particularly impressed with Sara's ability to make me feel relaxed and at ease, as i was really nervous! I was thrilled with my implant and the expertise with which it was created and fitted. The regular appointments were very helpful! " " After loosing a couple of my back teeth I was finding that i were no longer enjoying my food as much and i was looking for a permanent and stable solution. The courtyard team were friendly and helpful, and two implants were fitted professional and efficiently! " " Marcos and his team have just completed major dental work for me. They have been professional and excellent throughout the 12 month process. I am delighted with the result in all aspects. I would certainly recommend the Courtyard to everyone without hesitation! " " I am very pleased with the implants that i have had fitted by Marcos White abd his team. 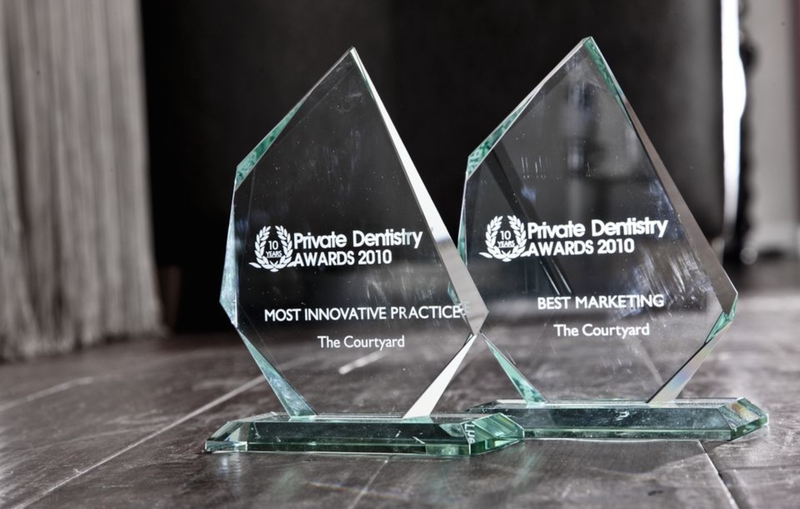 The Courtyard is a very professional dental practice and all the team are superb! " " The support team have been very caring and supportive thorought the treatment. I had implants and this has made a huge difference to my everyday life, i no longer have any pain or embarrassment when i smile! I would definately recommend the courtyard to everyone! " " I am really impressed with my experience at the courtyard. The feeling i have after the trearment was unbelievable, my teeth have never looked so good! " " Very professional treatment and an extremely polite, friendly team! I am so pleased with my results and nothing is too much trouble to ask for. The courtyard are very accomadating to all my appointment problems, thank you to all! " " This has been a wonderful experience as all the team have being so lovely and friendly! I will definately recommend you to any of my friends or family who are interested in Implants. Thank you so much to Marcos and all the team! " " A very welcoming, friendly team of professionals throughout the whole practice! Excellent, efficient team who arranged and notified me of all my appointments. Clinicians are all very competent and considerate whilst carrying out work. The teeth i have had replaced are great and this has given me back my smile :). Big thank you to all! " " Excellent support from the support team and all reception staff are very friendly and most helpful. A lovely warm environment. Having the treatment has given me my confidence back! " " Extremely, professional and friendly dentist - the best I have ever been to. This treatment has boosted my confidence. Please keep up this amazing work. Thank you so very much! " " I found every member of staff very friendly and afficient. Marcos and Anna are so very highly skilled and professional - only the best results were acceptable! Thank you all. " " Everyone at The Courtyard are a pleasure to see and second to none. The treatment I have had has made such a difference in the way I look and feel - most of all I can smile again! Your reception team are so friendly, always with a big smiles. I known Marcos for some years now and I never consider anyone else and would recommend Marcos and his team to everyone - they are great! " " Customer service was excellent from all of the Courtyard staff. Everyone is helpful, skilled and friendly. I am very happy with my implants and can smile again without feeling self-conscious. Thank you! " " From my initial consultation to the completion of dental work each and every member of the Courtyard staff have been nothing but polite and professional. I have now got a great set of teeth which I am not ashamed to show. All I can say is a "big thank you"! " " All staff were amazing and very supportive. Everything was explained as it went along. I am very nervous at the dentist but they looked after me and I never felt a thing! I love my new teeth. " " Everyone at The Courtyard has beebn very caring and supportive during my extensive treatment. The whole team are very friendly and helpful - and the coffee is appreciated whilst waiting! Everything was explained at each stage which put me at ease. The finished smile has given me so much confidence and I take every opportunity to smile! "Excellent attention to detail and superb staff. Thank you!" 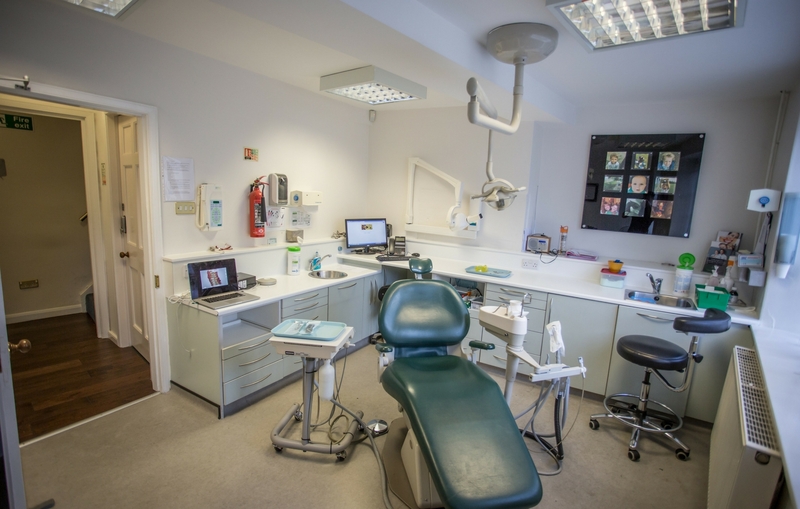 "The Courtyard are a professional and caring practice that looked after all my dental needs. I had broken, filled and gapping teeth. I now have beautiful crowns and implants that are looking so natural. I am totally pleased with the attention given by all the staff and I will continue to attend my 6 monthly check ups. I am happy to smile now and feeling much more confident about my appearance." "Amazing service and treatment from Marcos and his team from start to finish with my dental implants. The initial consultation made me feel confident I had come to the right dentist for my implants." Extremely professional & friendly dentist, the best I have ever been to. This treatment has boosted my confidence no end. Please keep up this amazing work. Thank you so very much.
" I was recommended to The Courtyard by my dentist. I was very pleased with my initial consultation where everything was clearly explained to me. Appointments were to schedule. I am pleased with all aspects of the service and I am delighted with the result! " " I am extremely pleased with the service and quality of work done whilst having 2 implants fitted. The service I received was over-and-above what I expected. A huge, huge thank you to Marcos and the team! " " I would highly recommend Marcos and his excellent team! I am very pleased with the result and the treatment throughout. My smile is restored as well as my confidence. A big thank you to everyone at The Courtyard. " " I was very well cared and looked after from my first consultation to the completion of my implant treatment. My implant looks and feels great - it is just like a new tooth! " " The service throughout the treatment from being dealt with at reception to my final visit has been exceptional. The staff are friendly and the customer service excellent! Would certainly recommend." " Led by Marcos the team helped me all the way through this complex process with patience and understanding. The use of modern technology was amazing during my treatment which which I believe helped give a good result. Big thank you to everyone - GREAT JOB! " " I was very anxious about having dental implants but would recommend The Courtyard for outstanding service. I feel confident and smile again - the end result is amazing. I recieved excellent support and care from all staff - friendly, welcoming and put you at ease. " "Going to the dentist has never been such a pleasant experience. Fantastic staff all the way through and end result - delighted!!" "I am very happy with my implant! I can smile with confidence again - I would recommend The Courtyard to my friends and family. Also very helpful and friendly staff!" "Following a referral from my regular dentist I have been surprised by the amount of preparation required for my implant. Everything has been very professional and I am delighted with my new 'tooth'! Thank you to all." "All of the team at The Courtyard makes this place special. Marcos especially have worked so hard on my tooth restoration and I am pleased with the result - in all stage, the support and attention to detail has been second to none. Thank you to all - and a special metion to Agata, the lovely receptionist." "Everything is explained step-by-step - my implant looks and feels good, very secure. Awlays a warm and friendlt welcome as The Courtyard Team works well together. 'One team' - no sense of any work-related issues or tensions. A great customer experience; just feels a natural outcome from the team." "I can not speak highly enough about both the dental treatment and the customer service I have recieved at The Courtyard. I am very happy with the results. Thank you very much to everyone!" "My operation was not painful at all and teeth look great now! Wonderful service at The Courtyard." "An amazing job done by Marcos. I can smile again!!! All the girls make you feel special." "After a poor experience elsewhere I was recommended to use The Courtyard. From the first moment of meeting Marcos, he made me feel safe. Marcos restored not only my teeth but my trust in dentists. Wonderful dentist, wonderful practice." "I recieved 2 new front teeth at The Courtyard. The service I have recieved from Marcos and all the rest of the team has been second-to-none. The implants look great and I shudder when I see photos of my old teeth! I can not recommend The Courtyard high enough." "I am very happy with the treatment and care I recieved. I am extremely pleased with my new teeth. Marcos and his staff are so helpful!" "I can now smile with complete confidence that my teeth look fantastic and this is due to professionalism of everyone at The Courtyard. Marcos.. thank you :)"
"I was recommended to the practice by a friend and I am very happy with the outcome of my implant treatment. I would recommend The Courtyard to anyone considering any type of dental treatment." "The surgery and the staff were excellent. I am very pleased with the results-brilliant." "I came to The Courtyard as I was not happy with the bridge on my front tooth. I have had an implant fitted by Marcos and it looks as good as my own tooth. I am very happy, thank you!" "I feel great! This treatment has changed my life - I can now smile for the first time in 27 years." "The treatment was excellent and all the staff were very helpfull. After months of not smiling I am now feeling great. I am super pleased!" "I am very pleased with my dental implant. I found my treatment very professional and everyone at The Courtyard super friendly." "I am more than happy with my implant treatment results. Excellent work!" "I have been absolutely delighted with my experience at The Courtyard. The results were suberb and all the staff very supportive and efficient." "Great team at The Courtyard and excellent service. The best dentist I have ever been to!" "The implant treatment process has been so worth it. I am very pleased to have my perfect smile back again!" "Everything was explained beforehand so I was happy to proceed. I am now very happy pleased to have "my own" front teeth again and can not stop smiling. Thank you all!" 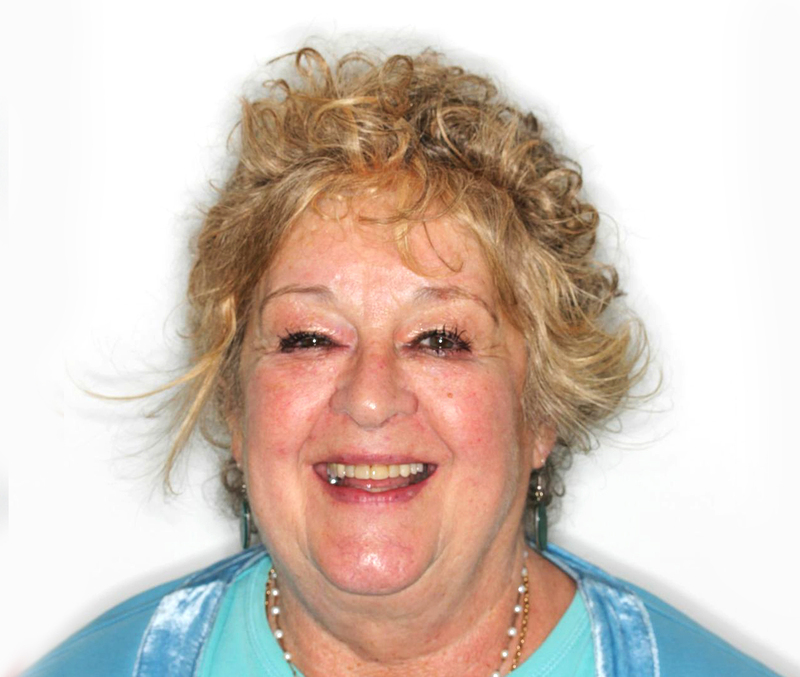 "My first experience of dental implants and I am absolutely delighted with new teeth. Very caring staff in particular Marcos was brilliant all through the treatment." "After referal to Marcos and his team for a dental implant I have recieved 1st class customer care - not just during treatment but after care too!" "The Courtyard team is very good and efficient. I am very happy with the results. Thank you!" "After feeling anxious for ages about losing my old, painful tooth and getting an dental implant to replace it - I am now pain free and the procedure was delightful. Thank you to all The Courtyard staff." "Very friendly staff at The Courtyard! Marcos is fantastic and very professional. I finally feel great about my teeth. Also really good coffee." "Nice, relaxing atmosphare and great, professional service. Customer care by all staff is second to none. I am well happy and satisfied by end result." "WOW! I am so pleased at the service, treatment and outcome at The Courtyard. My teeth look amazing - thank you!" 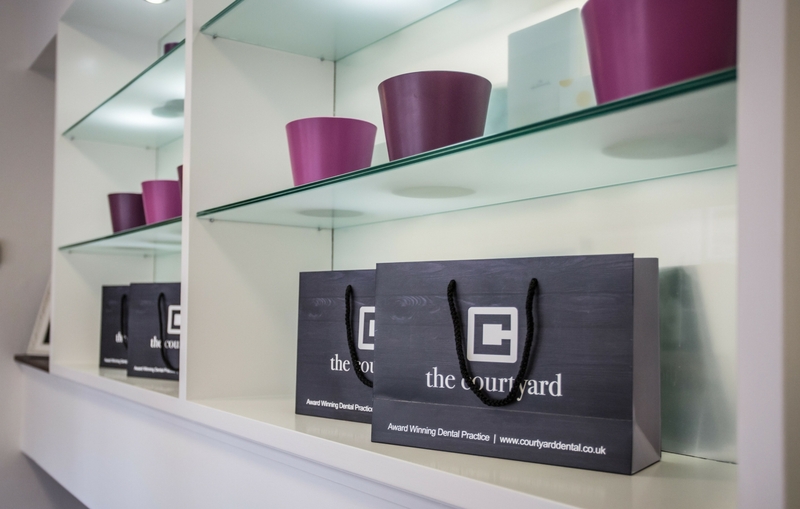 "I am a coward when it comes to dentistry but at The Courtyard the whole experience is a good one - people and treatment are excellent!" "I had several, cheaper quotes abroad but I am glad to get my treatment done by The Courtyard Dental. I love the professionalism and fantastic work. I will be coming back for more qork in near future!" "I am over the moon with my treatment. Marcos has changed my life... All the staff were amazing and made me feel at ease. Thanky you very much!" "Excellent treatment all the way throughout. Friendly, professional staff help you relax and trust in your treatment. The new teeth look fabolous!" "Excellent, professional service from beginning to end. I wish I started my treatment here years ago! Highly recommended. Thanks, Stephen." 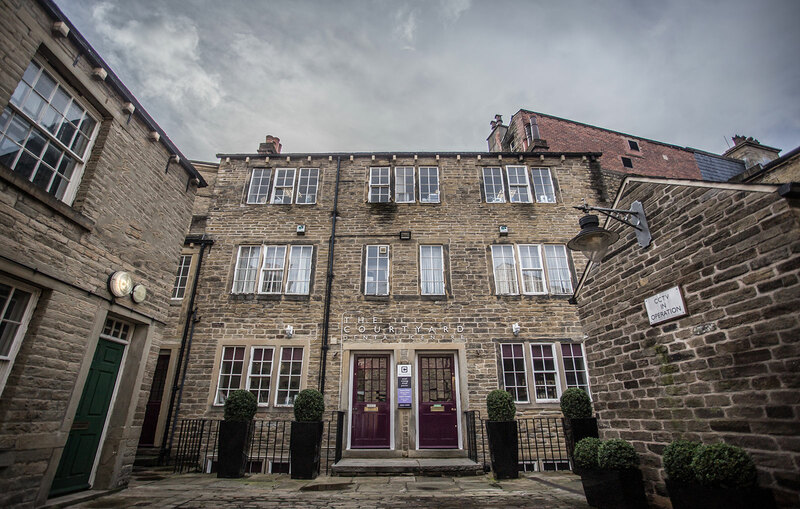 "The service I recieved from Marcos and all the staff at The Courtyard was first class! They also make you feel very relaxed." "I was absolutely terified at the start of the clinical work I have had but Marcos and his staff made it so much easier for me. The outcome is fantastic! Thank you so very much to you all." "Total care and consideration was matched by the skills and quality. Marvelous!" "I arrived with an awful smile and left with a perfect smile! All the staff have been wonderful, always friendly and helpful." "All the treatment was perfect. I loved the results too! The staff were fantastic, kind and helpful." "Good treatment from everyone involved! A big thank you to all." "Everyone at The Courtyard has been great. My implant went well and I would like to thank everyone for the work done." "All the staff were very friendly and put me at ease. The aftercare phone calls were a nice touch. Marcos was very efficient. I am happy with the results of my treatment." "Very pleased with all the staff. All very lovely and kind. Thank you to all of you." "As good as major dentistry could be, both medical and customer care excellent. " " The measure of my satisfaction with the service and treatment is the degree to which I happily recommend them to others, which I do." "I am very pleased with the treatment and service I have received at your practice!" "Dentistry work is amazing. I was always treated with respect, kindness and profesionalism. Wizardry at work here!" "Everything has gone according to plan and I am very happy with the treatment received!" "Marcos and his team after excellent service, I had 4 dental implants from start to finish and had the best treatment. Thank you Marcos team - you have given me back my conficdence. I would recommend this practice to anyone. Oh the joy of eating again properlyt! Thank you!" "The staff was very friendly and service was amazing. Happy with the results!" "Everyone at The Courtyard are professional and friendly and have given me confidence to no longer fear of dentists. The work is excellent, thank you!" "Now I can say it was worth the wait. New teeth in place - feels like it was made for me. Indeed it was very good customer service by all concerned"
"Great team made an intense treatment pleasable with wonderfull final results." "Great customer service! I can now smile again! Thank you"
"Very professional. I think costumer service and their expertise was the of the highest level. Worth every penny. For me highly recommended!" "Having got my front tooth back I feel to have restored myself confidence. Great result from Marcos and his team." "I have been delighted by the whole experience. All the staff have been particularly warm and friendly and I have had excpetional care form staff with the highest professional standards." "I have been extremely happy with the care and treatment I have recieved at The Courtyard. All the staff are friendly. Marcos is extremely proffessional and experienced." "From start to finish the implant treatment was professionally done and the finished result was excellent. All the staff who dealt with my care were brilliant and responded to any queries effectively and efficiently." "The service and professalism of all members of The Courtyard staff have been first class. Everyone has been excellent and I will recommend this practice highly enough." "Very professional sevice I recieved from beginning to finish. Marcos and his staff put you at ease. Marcos is amazing!" "It has been a long journey for my brilliant two implants. The whole treatment was dealt with extremely well. All the staff are very personable, pleasant and encouraging." "I couldn't wish for better treatment. Marcos and his staff looked after me well. The end product looks so natural. I am highly delighted." "The Courtyard is professional and understanding. Staff are friendly and the treatment is first class. I can finally smile again." "It has been a good, trouble free experience." "The practice and the staff have all been very professional and made me feel special. The outcome of my treatment is excellent. I am very happy with a great smile." "I found the whole experience of having my dental implant, to be excellent at The Courtyard. Marcos, Anna and Kirsty were fantastic in doing a great job on my teeth." "I chose The Courtyard as I did research and was recommended this dentist. From the very start to after care everything was fantastic and staff are brilliant." "Great service from start to finish. The staff are so polite and great at working round my work schedule, nice to have my smile back! Thank all of you, especially Marcos!" 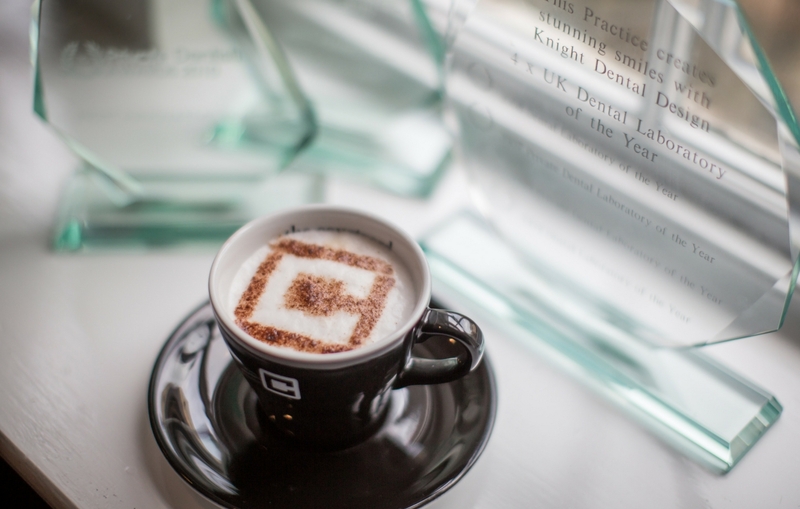 "Your practice and staff are outstanding, not only so caring and understanding but are amazing at dentistry. Thank you!" " Friendly staff put me at ease throughout and nothing was too much trouble! Marcos explained what to expect and he was spot on! Thank you team! " "Friendly and welcoming environment. Staff are delightful! Dental work and treatments give confidence. All work carried out is at the comfort of the client (NO PAIN!). Any treatments that have been advised by The Courtyard are of a subtle nature and always look refreshing. " "Undoubtedly the best results I have ever had! The aftercare was excellent - highly attentive and friendly staff. I would highly recommend Marcos and his team at The Courtyard."